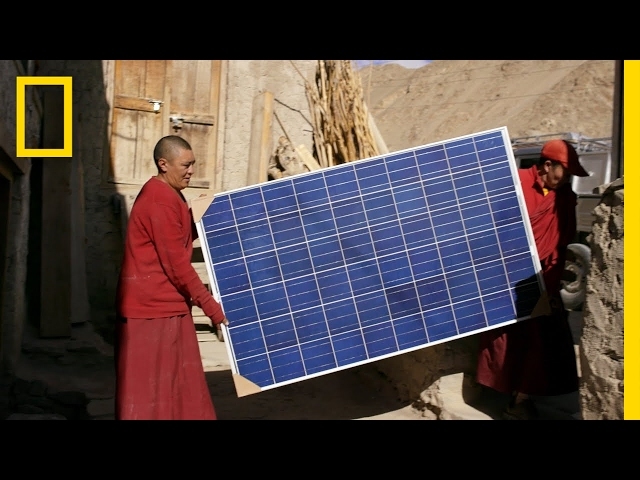 Increasing the Adoption of Sustainable Energy in the Asia Pacific Region. Energy for All partners with regional sustainable energy programs and local business accelerators to support two types of companies. First are companies that pioneer technologies that increase the effectiveness and sustainability of energy access, renewable energy and energy efficiency solutions in the Asia Pacific Region. These include smart meters, weather prediction software, etc. The second type are companies that deploy proven sustainable energy technologies through projects on energy generation and distribution. It is Energy for All’s intention to build a dynamic ecosystem where technology innovation and application flow seamlessly across borders in Asia. Energy for All offers a suite of services to sustainable energy companies, depending on their level of maturity. Companies in the pre-revenue phase may participate in Business Development Workshops where modules on refining business models, developing business plans and building financial models are discussed. Early-stage companies that show unique potential may apply for Customized Coaching services to help the Company validate the key assumptions of its business model. Companies at the post-revenue phase and growth & expansion phase may participate in investor matching events and activities organized by Energy for All and its Partners. These investors range from private equity funds, commercial banks, non-bank finance companies and even ADB’s own Private Sector Operations Department. In the course of shortlisting applicants, Energy for All may offer assistance in refining the business plan, financial model and investment pitch. The following companies received business development support from the Sustainable Energy Accelerator, and have been featured in an Investor Forum that was organized by the Energy for All Partnership. Investors and financing institutions that have a track record in the sustainable energy sector may be invited to participate in the regional and in-country Investor Forums that are organized by ADB and its partners. These events will present the most mature sustainable energy companies that participated in the Sustainable Energy Accelerator to an audience of potential funders. If an investor or financing institution shows serious interest in one of the companies but is unable to process the transaction due to the lack of technical resources, they may apply for Energy for All’s due diligence support. Investors and financing institutions that do not have track record or are completely new to the sustainable energy space may request Energy for All to conduct deep dive modules on specific sustainable energy applications that they are interested in. These modules will take the loan officers through important legal contracts and agreements, a financial model and scenario analysis of the business, and other topics that are pertinent to due diligence. A mini-grid scale power system can supply an entire community with enough energy for basic needs, and generate enough surplus power for productive uses. In rural areas, mini-grids can power the local economy, enabling post harvest processing - such as grain mills, refrigeration, and water pumping amongst other beneficial tasks. However, a mini-grid requires a level of investment above and beyond that of household scale energy systems, a level of expense that few rural communities can shoulder. With the drive to achieve universal energy access by 2030, there is an increasing interest to encourage private sector involvement in addressing off-grid energy needs. The untapped market of base-of-the-pyramid consumers who are willing to pay not only for basic energy, but higher tiers of use present an enormous opportunity for entrepreneurs. Led by ADB's Private Sector Financing Division, Energy for All is supporting a private sector financing program for renewable energy mini-grid and distributed power generation projects, with an initial focus on projects in India, Indonesia and the Philippines. The project is especially focused on “south-south” sharing of successes and business models that can be scaled up across developing Asia and the Pacific. The Energy for All Program commissions market surveys, feasibility studies and case study analyses that validate and document proven best practices in the sustainable energy sector across the Asia Pacific Region. These knowledge products are disseminated online through its various regional and in-country events, the Energy for All website and its quarterly newsletters.